Smartwatch maker Pebble has announced a set of limited edition neon-colored green, blue and pink watches. The new designs, which are based on the classic Pebble hardware, cost the usual $150 and will only see one production run. 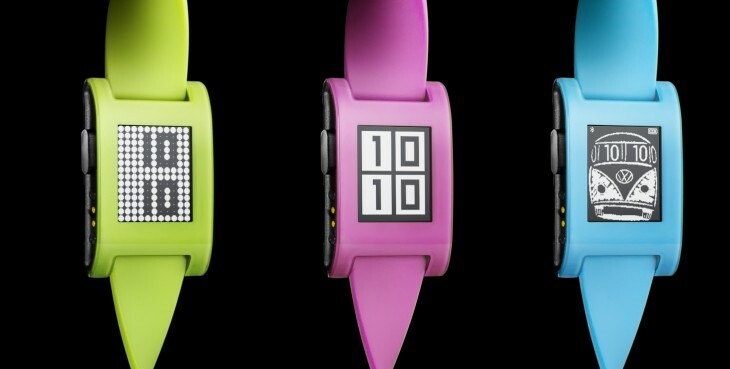 Pebble has named the colors “Fresh Green,” “Hot Pink” and “Fly Blue” and included matching bands. All three models will call plenty of attention to your wrist, but young folks should have some fun with the retro vibe, which appears to be inspired by Swatch. It’s definitely a drastic departure from the professional look of the Pebble Steel. Previously, the company took a vote on two of the original five colors, with the crowd choosing orange and grey to go with the base white, black and red. The new watches will also launch with watch faces to go with them. Pebble has also announced an app from The Weather Channel and “an animated Reading Rainbow watchface featuring 8-bit Levar Burton.” 8-bit Levar Burton sounds kind of awesome. You’ll have to wait, though, as it won’t arrive until after backers of Burton’s own Kickstarter campaign get their rewards. Pebble took an early lead in the smartwatch race on the back of a mega-successful Kickstarter campaign, but it faces new competition from Google’s Android Wear platform. Apple is also believed to be readying its own smartwatch.